Webinar. Now’s the time of year when I’m confronted by this word on an almost daily basis as we ramp up the final preparations for the annual Macmillan Education Online Conference. 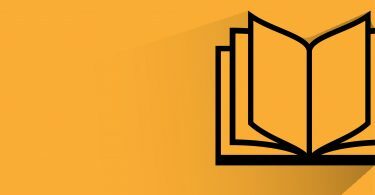 The event is now in its fifth year – and if you haven’t come across it before, it is a place where teachers across the world tune in to hear talks from some of the leading authors in the field of English Language Teaching (ELT) for inspiration and fresh ideas to bring into the classroom. Last year we had 12,000 people log in to join us over five days of talks covering the latest trends and topics in ELT which, I can tell you, was some challenge to manage. “Very nice. But how is all this relevant to readers of the blog? And why is Henry just regurgitating a press release about an upcoming event his boss has told him to plug?” I hear you ask. Well these are both valid questions, but be assured that I do my plugging for good reason! This year, I’m delighted to say that we’ve broadened the scope of the conference programme to appeal not only to teachers, but to learners of English too – and that’s where you, dear readers of the blog, come in. 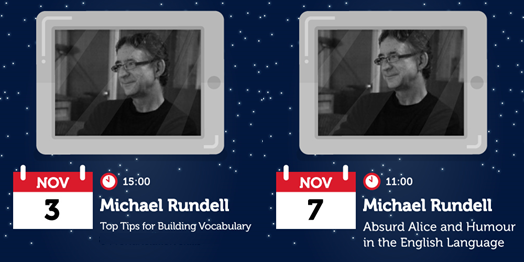 For the first time ever, our very own Dictionary Editor-in-Chief, Michael Rundell, will be delivering not one but TWO separate talks during the course of the week. His first webinar, ‘Top Tips for Building Vocabulary’, takes place on Tuesday 3rd November and looks at the different ways Macmillan Dictionary and its various tools can help increase your word power, particularly in spoken situations. Following this, Michael will be back with us on Saturday 7th November for a short session entitled ‘Absurd Alice and Humour in the English Language’ as part of a special Alice in Wonderland-themed day of webinars. If you’ve been enjoying our recent #EnglishHumour series and the related content on Alice in Wonderland, then this is a must-watch. Both of these talks I’m sure will be of interest to you, and I know Michael would really appreciate your presence in the audience as he makes his much-anticipated conference debut. If you’re not able to make it along live, then don’t panic, we will be recording the sessions so you can watch them later. The Macmillan Education Online Conference 2015 is a FREE event running from 3rd-7th November. All you need to watch the action is a PC, tablet device or mobile phone with internet connection.